Associates in Hearing HealthCare has served the Barrington and Marlton, New Jersey area and surrounding communities for many years. We offer a full range of diagnostic and preventive hearing healthcare professional services, including hearing aid screening, evaluations, hearing aids sales and rehabilitative and preventive counseling. Our patient care will be unique to each individual and reflect the professional concern and attention required to allow each person to succeed in the goal of an improved quality of life through better hearing. We promise to work closely with you to discover where you are having the most difficulty communicating. Then, we will collaborate with you to determine the best solution to increase your ability to hear and understand in the situations you describe. Choosing a hearing professional is one of the most important decisions you will ever make and the personal relationships you will develop with the staff at Associates in Hearing HealthCare will continue long after your initial appointment. Reason #1: We Believe an Informed Patient is a Satisfied Patient. Our staff of licensed audiologists is skilled at performing diagnostic examinations that are thorough, precise and accurate. This allows us to recommend the best solutions to help optimize your ability to hear. Even the most high-priced hearing aids will disappoint if they are not the type or style best suited for your level of hearing loss. 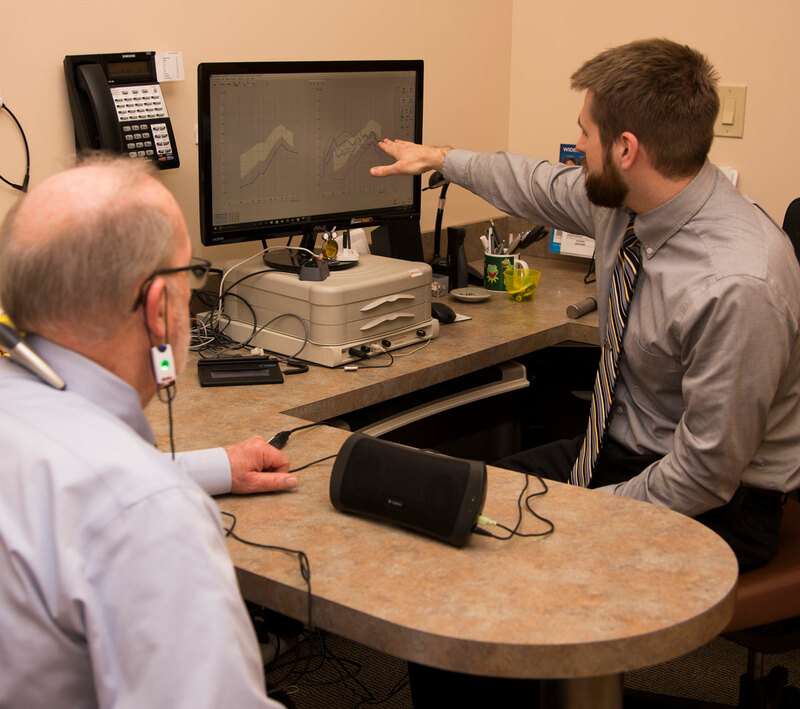 Our professionals are skilled at fitting and programming hearing aids based on the results of your hearing tests. The most advanced fitting methods and equipment are used to make sure you hear with maximum clarity… even in the most difficult listening situation.